The spiced rum category has always been dominated by the likes of Sailor Jerry and Morgan’s Spiced, but recently its been added to with Bacardi Oakheart, Kraken and Lambs Spiced all making their case to be the number one. But a major player has come into the reckoning – Elements 8. This unique brand has a three strong range of super premium rums as a result of eight individual elements that add distinct characteristics to each blend. It is also distilled and aged in the oldest distillery in St. Lucia with over 120 years of rum making experience. But what are these eight elements that make this brand stand out? 1. Terroir – The Windward island of St. Lucia with its tropical climate and volcanic formations provides the ideal conditions to transform cane into rum. 2. Cane – After primary selection of premium grade cane, it is ripened to perfection, harvested and milled to extract the rich and sweet molasses. 3. Water – Virgin rainforest provide a natural source of pure and pristine tropical water. 4. Fermentation – Three unique strains of yeast are combined with the molasses and purified water, each yeast strain imparting their own complex flavour characteristics. 5. Distillation – Four stills, including an innovative Kentucky Bourbon Vendome Pot Still, impart complexity and flavour. Only the ‘heart’ of the distillate is ever used. 6. Tropical Aging – Aged in #1 select, lightly charred American oak bourbon barrels. A tropical aged rum shares the characteristics of one aged for at least twice as long in a cooler climate. 7. Blending – The Master Blender expertly combines over ten hand-selected single rums. 8. Filtration – A light filtration process is applied to remove any residual impurities, naturally enhancing the purity and maintaining flavour. 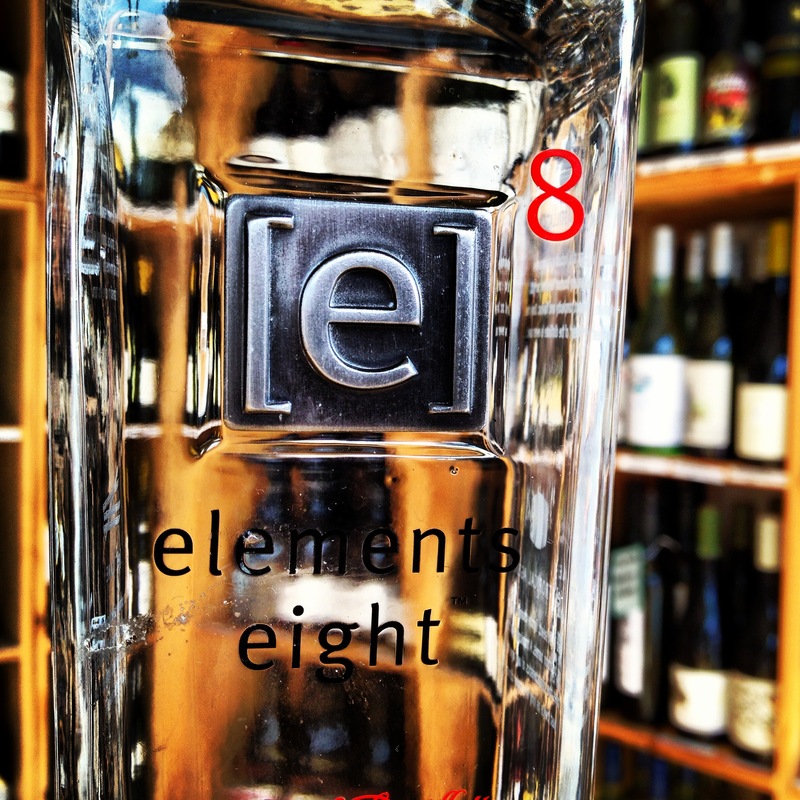 What I have been lucky enough to try is their Elements 8 ‘barrel infused’ rum. This spiced rum is a complex hand blend of pot and column still rums, that have been infused with 10 fruits and spices added to the Bourbon barrel during the tropical ageing process that lasts for two years. The 10 herbs and spices (cinnamon, clove, nutmeg, ginger, star anise, vanilla, lemon, orange, coconut and honey) are macerated in the aged rum barrel for 2 weeks. As the spices soak in the rum their flavour is naturally infused and extracted. This process is akin to different barrel finishes seen in the whisky world where blends are finished in sherry, port and Madeira casks for example. Lots of light floral spices on the nose with a slight hit of vanilla and aniseed type flavours mixing in near the end. Rather light on the palate, with a good burst of spice to begin with. A rather long flavour of cinnamon spice and vanilla, with a soft warming sensation to finish. Very floral and smooth on the nose with hints of vanilla and a little spice near the end. Again rather smooth on the palate with no expected kick on the back of the throat. Quite sweet with a dry nut flavour coming through. Long. Soft, fresh nose with subtle citrus aromas coming through. Dry fruit flavours on the palate with a sharp vanilla and banana mix following. Mellows near the end for a lingering finish that is slightly dry. Launched in 2013, this is infused with criolo cacao beans. Heavily toasted wood and cocoa bean on the nose with a sweet scent of dark chocolate coming through. Bold flavours of roasted cocoa with lingering smoke and malt dark chocolate on the palate. Smooth with a long finish. Almost as if you’re eating chocolate. Build all ingredients, except ginger beer, over crushed ice and churn. Top with crushed ice and ginger beer. 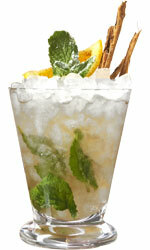 Garnish with mint, cinnamon stick and lemon wedge. Creator Carl Stephenson is onto a winner here, with Elements 8 Spiced popping up on back bars all over the country alongside its Platinum, Gold and newbie Cacao. It’s also been winning awards too, with the spiced picking up the highest score and voted ‘best tasting spiced rum’ in the UK market by Imbibe in 2010. Its long slender square bottle is an eye catcher, as is the spirit inside, and well worth a try if you fancy something smooth to drink. to which the body adapts and becomes efficient with very quickly. Next of all, having a good posture can also help get your chin into shape. work very effectively in eliminating double chins and sagging skin.